According to the WHO, the use of microwaves to heat food poses no risk to health, even during pregnancy, because the radiation is reflected by the metallic material of the appliance and is contained within it, not spreading. In addition, radiation is also not present in foods, since the heating takes place by the movement of water particles and not by the absorption of rays, and therefore any kind of food, such as popcorn or baby food, can be prepared in the microwave without health hazard. Microwaves are a type of radiation that is used in many everyday appliances, allowing the operation of television and radar, as well as communication between various navigation systems today. Thus, they are a type of frequency that has been studied for several years to ensure that it is completely safe for health. However, to be safe, microwave radiation must be kept below certain levels as determined by various international standards, and therefore, each microwave-based equipment must be tested before it is released to the public. 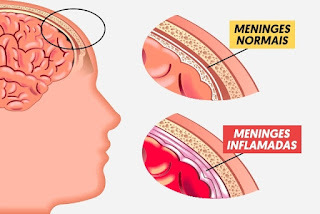 If microwave radiation were released at high levels, it could cause heating of the tissues of the human body and even hinder the circulation of blood in more sensitive places such as the eyes or the testicles, for example. Even so, the person would need to be exposed for a long time. The microwave design ensures that the radiation can not escape to its exterior, as it is constructed of metal material that effectively reflects the microwave, keeping them inside the appliance and preventing them from being able to move outside. In addition, as the glass allows the passage of the microwaves, also a metallic mesh of protection is placed. 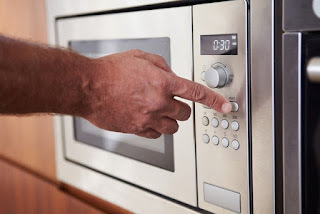 The only places in the microwave that can sometimes release some radiation are the thin openings around the door, and even so, the levels of radiation released are much lower than any international standard and are safe for health. Although the microwave is safe when it leaves the factory, over time, the material may degrade and allow the passage of some radiation. Use microwave-safe containers , which contain symbols indicating that they are suitable. If the microwave is damaged, it is important to avoid using it until it is repaired by a qualified technician.